All the Right Wingers in Louisiana who yelled “get the government off our backs!” and parroted the Big Oil propaganda about too many regulations have now gotten their wish. 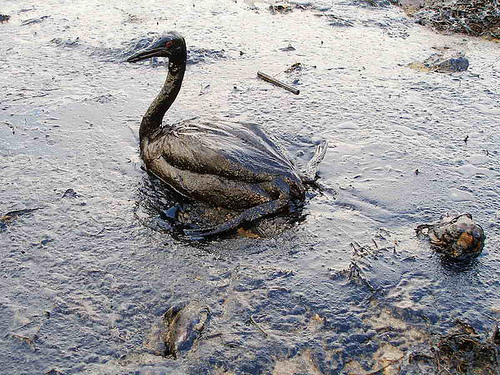 This is what happens when you listen to Rush Limbaugh, Mitch McConnell, Exxon Mobil, BP and the other power brokers who don’t give a damn about common Americans. You turned your back on rationality and common sense, chanted “Drill Baby Drill!” wore your Tea Party hats and questioned Obama’s birth certificate, and in return, you are losing your clean water, your marshes, your coastline, your fishing and hospitality industries. 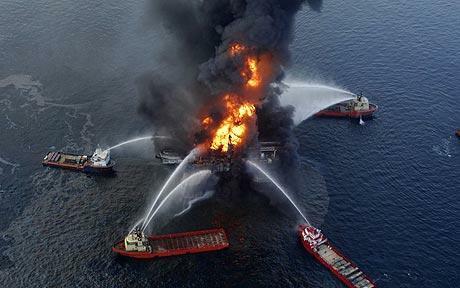 This entry was posted in Uncategorized and tagged BP, drill baby drill, Louisiana, oil, oil spill, rush limbaugh. Bookmark the permalink.